Once upon a time, you might remember I actually used to do outfit posts on the blog. It’s been awhile though – after all, taking photos as a one-woman team is no easy task! Not to mention, I hated staring at my own face when editing photos. Nevertheless I’ve always enjoyed fashion content on other people’s blogs, so it’s something I’d like to include more often. Anyway, here are some looks I’ve been wearing recently to beat the heat. After all, it’s peak summer in Australia at the moment! An outfit that’s a little girly and a little casual, just the way I like it. 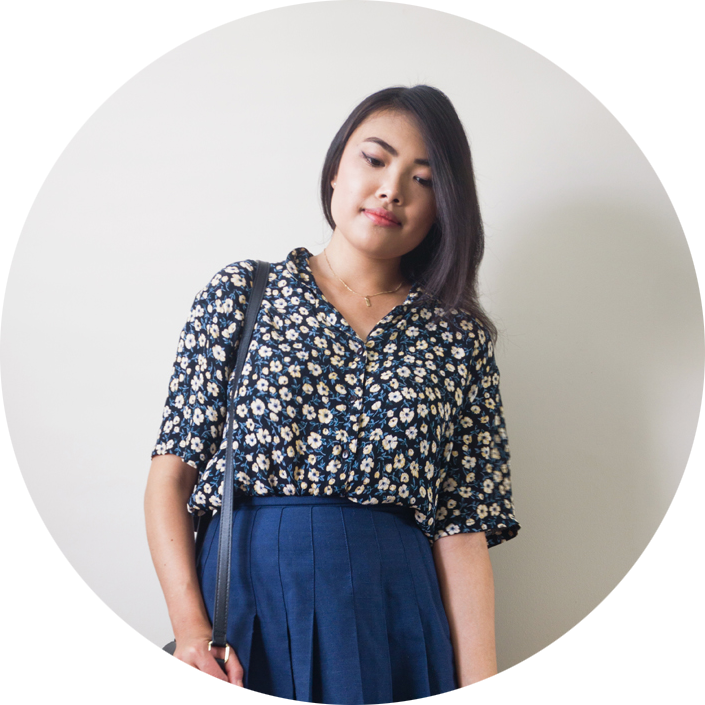 This blouse is surprisingly versatile – it works with pretty much everything, from skirts to denim shorts and jeans. It’s also super breezy, and easy to throw on during the warmer months. I can’t believe I didn’t own a denim skirt before this summer – ever since I bought this one, it’s barely left my body! As much as I love wearing skirts, sometimes they can feel a little too dressy for everyday wear. The faded wash and raw hem on this one makes it a lot more wearable, though. There’s not much to say about this outfit, except I’m kind of obsessed with the flared sleeves on this top! I definitely need more of them in my life. On most days you’ll find me in something monochrome like this, with some denim thrown in. Something I probably wore to the beach. That rose canvas tote has literally been everywhere – for something that was only $4, it’s surprisingly sturdy! Also, these sandals are one of my current favourite things. I used to avoid slip-ons out of fear I would lose them, but the buckles on these mean I can strap in my feet as tight as I want. I just couldn’t say no when I saw this t-shirt on the rack – I mean, how adorable is that print?! As much as I love basic t-shirts, I find them a little hard to style. I can never seem to pull off that effortlessly chic vibe that some people seem to radiate. This floral number is definitely more geared towards my style, though. Anyway, my style lately has just involved various combinations of these items! The only constant is that Cluse watch and Legato Largo bag, which I bought in Japan. It may look small, but this baby can fit my camera, umbrella and a water bottle if I pack carefully. Best purchase ever!